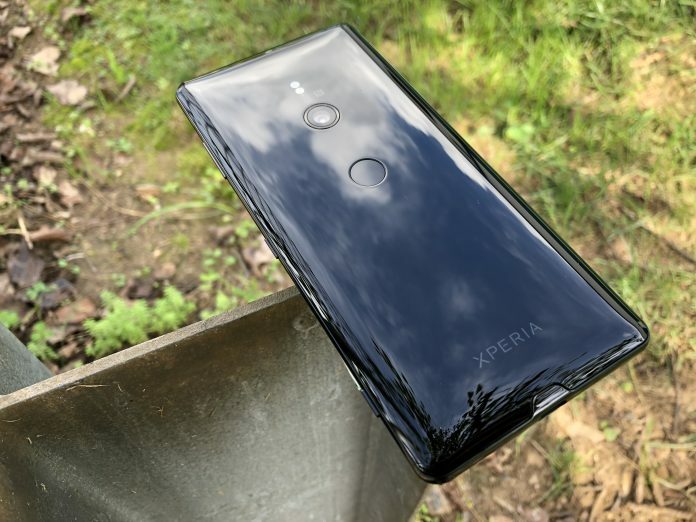 Before getting started, it’s important to note that I have never owned or used a Sony smartphone for more than just a few minutes. Those times have been limited to seeing the display units in my local Best Buy and putting around with those for just a few moments before moving on. 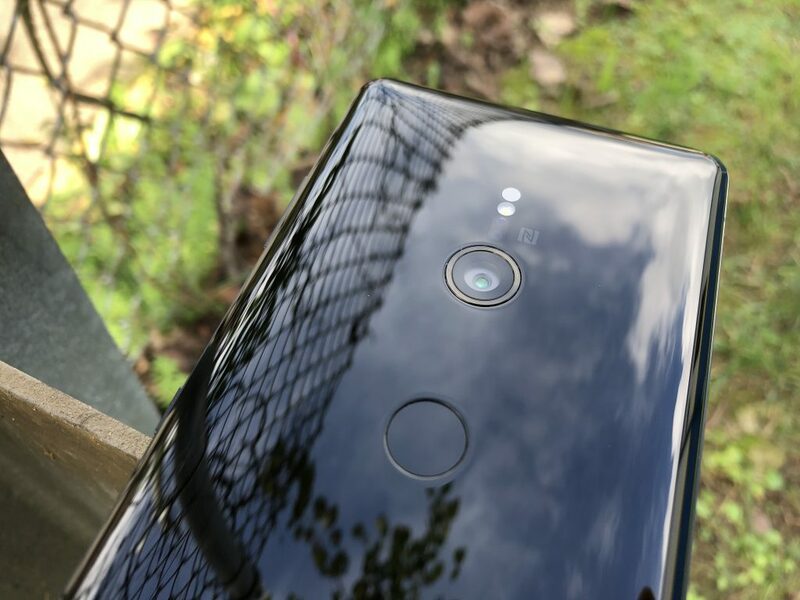 Now that we got that out of the way, let’s talk about the Sony Xperia XZ3. This is just our first impressions of the device, as we have had it for just less than a week. So as you can see, Sony has pretty much packed all of the expected specs into the XZ3. There’s not too much that is really surprising or head-turning, at least at first glance. When I took the XZ3 out of the box, I was instantly surprised. While the handset felt great in the hand in terms of materials, I also felt like I had just picked up a brick. Sony’s website state that the device weighs in at 6.8 ounces. Considering that I was coming from a combination of the iPhone X and LG G7 ThinQ, the weight was immediately a concern. In fact, it was such a concern that I was worried about dropping the device. I ended up quickly ordering a case from Amazon just to avoid any accidental drops that could occur. Now that we’ve got that out of the way, let’s take a look at the design itself. Gone are the days of the squared, box-like smartphone and now we have rounded edges and a smooth build. The back is curved quite nicely so that it fits better in your hand. But there is major quirk that I am continuing to struggle with – fingerprint scanner placement. Before the case arrived I was still using the XZ3, just extremely carefully. The rear-mounted fingerprint scanner is placed just slightly above the middle of the device. Since the camera module rests vertically and quite low, I found myself touching the camera instead of the scanner. 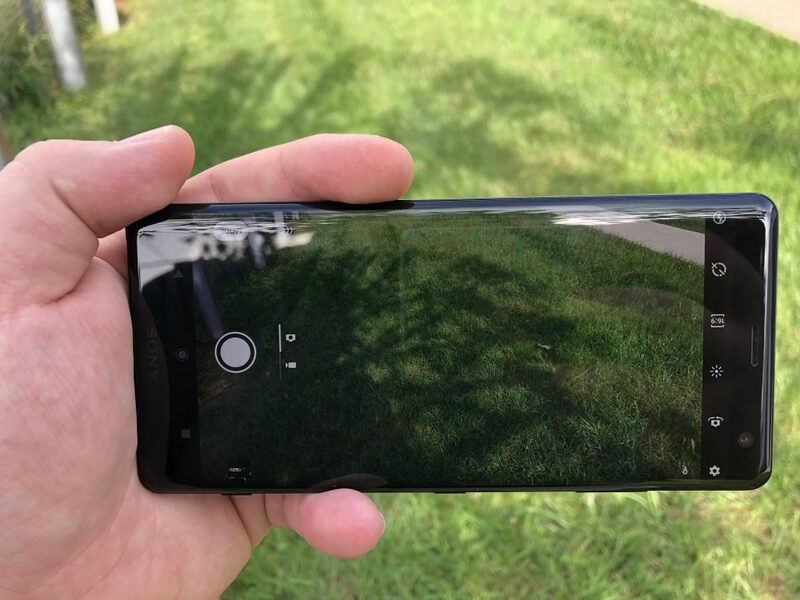 I would brush my finger across the lens and then wonder why the XZ3 didn’t unlock. Now that I have the case, it’s a bit easier, but there still have been some times where I miss the target. You will get used to it, but it’s going to be an annoyance in the beginning. There are no more sharp edges to worry about digging into your hand as the display just melts into the frame. Speaking of that display, Sony knocked it out of the park here in our early testing. 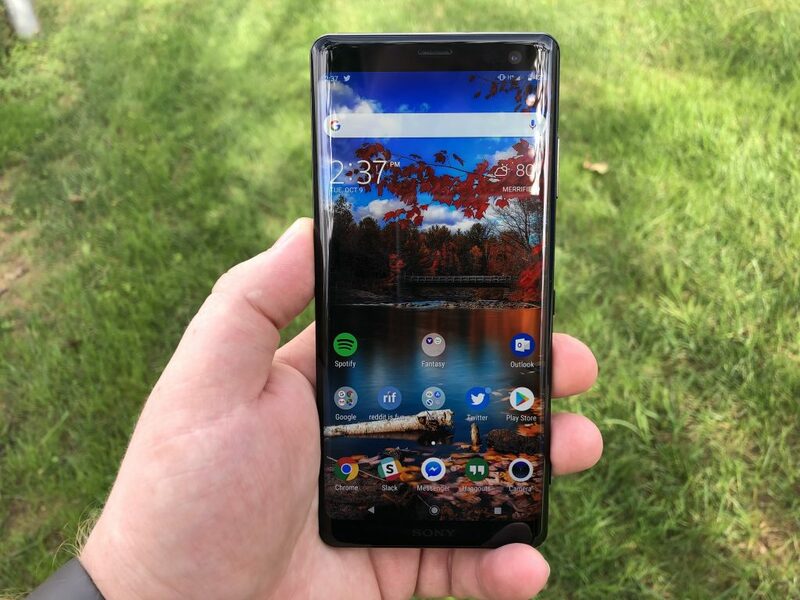 Admittedly, I’m not someone who is overly-critical of displays, but the Xperia XZ3’s OLED HDR display pops much more than others. There are some software adjustments that can be made in the Settings panel, but I haven’t touched any of those. Instead, I just switched the “Display Size” and “Font Size” to get more information on the screen. We have not had enough time to put the camera through its paces and pushed it to its limits. However, we have taken a few quick shots and things seem to be doing quite fine for the most part. While LG and Samsung have added additional hardware buttons for digital assistants, Sony added one for the camera. On the right frame, near the bottom, there is a camera button that allows you to quickly take pictures. There is a bit of a feeling of using an old point and shoot, which is a nice feeling. Plus, the button is placed low enough where accidental presses aren’t really a thing. Whenever a new version of Android is announced, there’s usually a party or two. The first is to celebrate the final release, while the second is for the first OEM to launch a device with the latest version. Well, Sony didn’t really get to have a great party despite being the first phone from 2018 to be released with Android Pie on board. Of course, Pixel, Essential Phone, and OnePlus owners had this already, but those are devices with last year’s hardware. Starting off with the launcher, Sony has done a pretty good job emulating a near-stock experience. You have your shortcuts that appear with a long-press of the app icon. 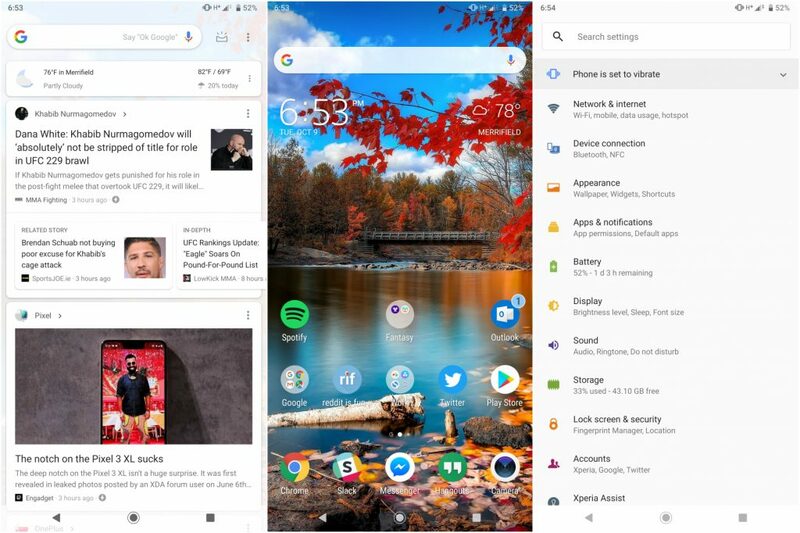 Sony also included the Google News Feed when swiping to the right from your home screen. 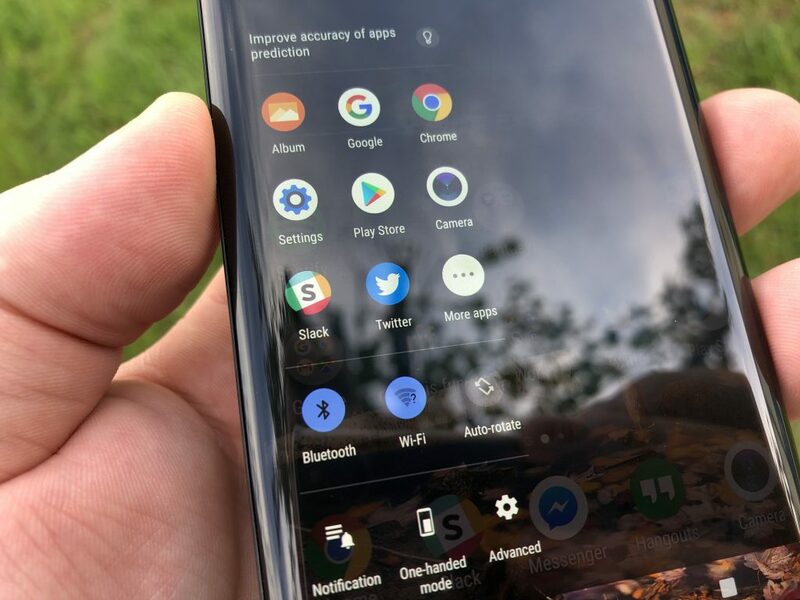 Plus, the on-screen navigation buttons are also “borrowed” from the Pixel devices which is a nice touch. We have noticed a few smaller features here and there that we will cover in the full review. So stay tuned for that. Despite its heft, the XZ3 is definitely a sleek handset and will turn some heads thanks to its gorgeous display. If you have any questions about the device, please sound off in the comments below and we’ll try to cover them in the review.